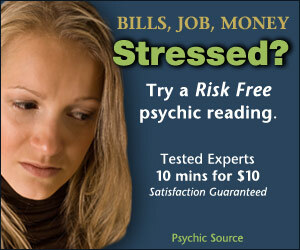 If you have ever wanted to find some easy to follow tarot cards instructions then you have come to the right place. Many people want to learn more about the tarot and using tarot cards, but finding tarot cards instructions that are geared for beginners can be tricky, especially if you are unsure of what, exactly, tarot cards are for. First here is some basic tarot card information: tarot cards are not going to predict the future. They aren’t going to give you answers from the cosmos. What tarot cards do is speak to your intuition. Tarot cards are not going to tell you anything that some part of you doesn’t already know. The card can shed insight into a current situation or help you figure out answers to problems yourself. Keep that in mind as you read the following tarot card instructions. 1. Choose your tarot card deck carefully. This is not a normal deck of playing cards or a pack of trading cards that you are picking up. Each tarot card deck has its own energy and it is important to take your time in figuring out which deck you feel the most comfortable with. Look at the illustrations on the cards and pay attention to your senses. You will eventually find a deck that you feel a connection to and that is the deck you should purchase. 2. Even if you haven’t started to learn what each of the cards means, take some time to become familiar with each of the cards in your tarot card decks. Really look at the illustrations and start figuring out how each one of the cards fits into the different categories of cards. 3. Begin studying what each of the cards means. Putting meaning to each card is easier if you can easily call to mind the card when you are reading about it. Sure it is easy enough to do a tarot card spread and then look up the meaning of each card, but a tarot reading is far more fulfilling if you already know what the cards mean. 4. The easiest tarot card spread is the three card spread. This card spread gives you insight into the past, the present and the future that surround the question you are concentrating on. We’ve already said that tarot cards cannot predict the future, but they can give you some insight into your feelings about the future. 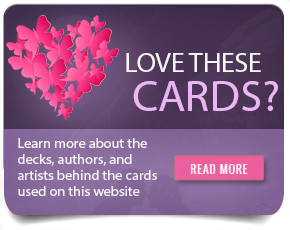 Once you’ve mastered the three card reading, you are ready to move on to other card spreads. These are just a few simple tarot cards instructions. Obviously there are more complicated card spreads and there are techniques to learning about the individual cards and what they mean. If you are just starting out, though, hopefully these tarot cards instructions will provide you with enough background information to start you on your journey to being a practiced reader of the tarot cards. Before you know it, you will be advanced enough to do readings for other people.